P 415-529-2850 click for phone number W http://www.bluehornet.com/ click for website A 2355 Northside Dr.
BlueHornet is the #1 email service provider online retailers trust to deliver highly targeted email campaigns that evolve through the customer lifecycle. A foundation for this trust is that BlueHornet is a proactive email service provider, a marketing partner that makes it easy for clients to quickly make decisions based on multi-channel data and then act upon that data themselves, without needing to engage their IT team. For nearly 10 years, BlueHornet has helped companies better communicate and connect with customers and prospects. Whereas some email service providers offer a “one size fits all” approach, BlueHornet provides an email solution based on the business needs of each client, one designed to uncover the optimal process for creating, delivering, and tracking each email for maximum ROI. 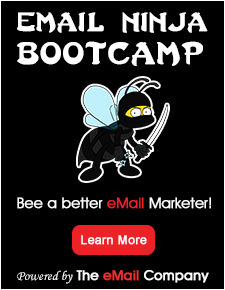 Whether it’s helping companies improve their existing email programs by implementing highly targeted and segmented campaigns, or helping a business launch its very first newsletter, BlueHornet offers both the technology and service to keep you competitive.